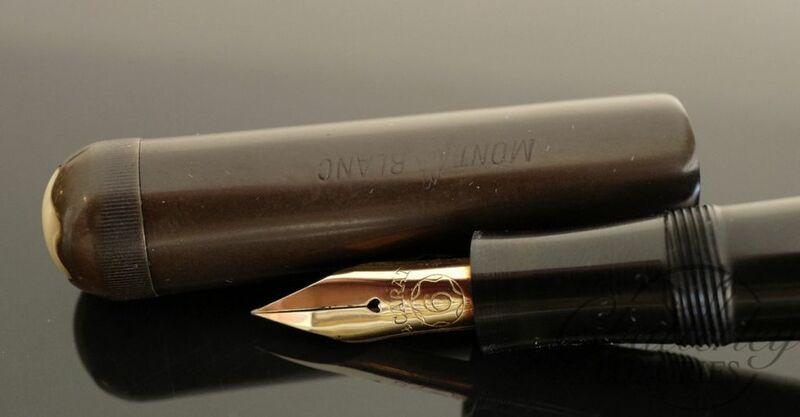 Presented for sale here is a vintage Montblanc Meisterstück L139 War Time Fountain Pen. 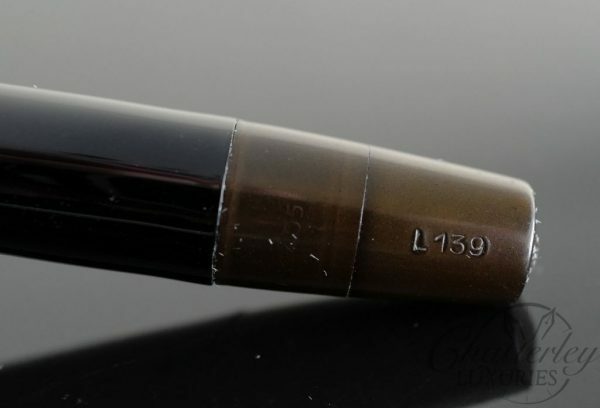 The 139s are hard to date because they were made for a quite a long time, but this is a war time pen so it will be early to mid 40s. 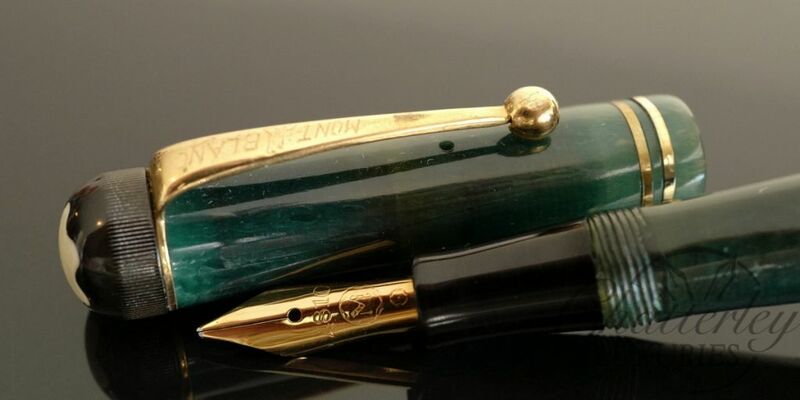 The imprints on the blind cap are very nice. The window is clear, and the feed is a flat feed. 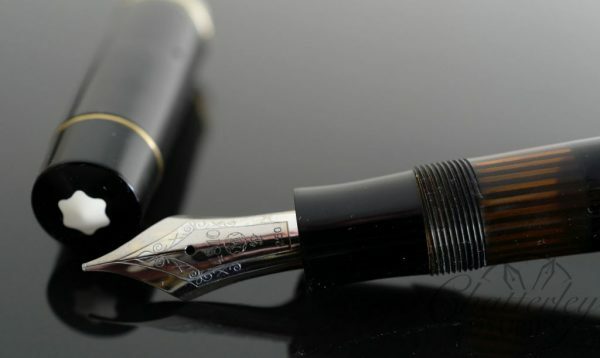 The pen has the correct 139 250 Palladium Nib. 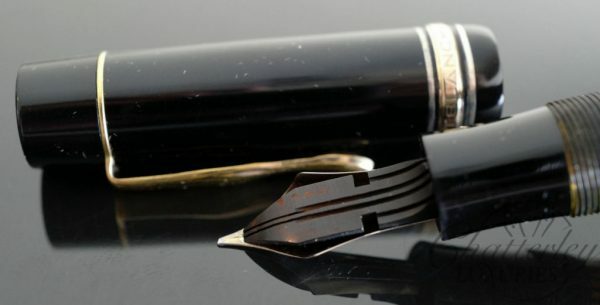 The nib is a B-BB Oblique nib with has some flex. 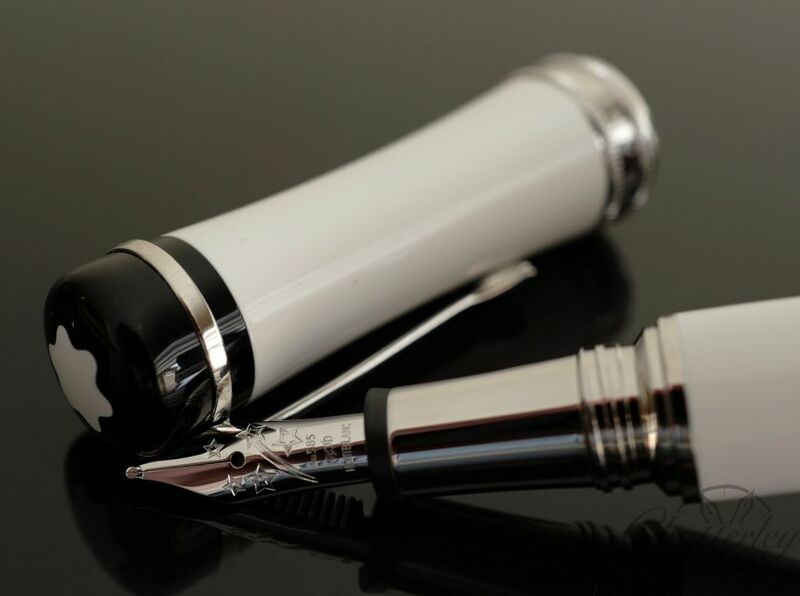 The pen is a fantastic example of one of the most collectable Vintage Montblancs. It fills via telescopic Piston Filler.